Peer-to-Peer Lending is an online loan dissemination method that challenges the approach traditional banking institutions take towards credit lending. Instead of extremely time taking procedures stipulated by a bank or a credit institution, you can easily obtain a loan through the P2P platform online. The platform allows, lenders and borrowers to directly interact and discuss loan terms. Typically, the transactions happen between two individuals. The growth of the P2P sector is largely due to the fact that alternative lenders are offering innovative and competitively priced loans that are easier to obtain. Filling up a simple online form can make you eligible for a loan in just a matter of hours. The high interest yield is now attracting more and more institutional lenders to this field. P2P platforms are seeing a high influx of traditional lenders who are looking to cash in on the attractive interests that this platform can yield. With the availability of both traditional and alternative lenders on a single platform, the definitions of P2P are changing fast. P2P platforms are now more popularly known as Online Lending Marketplaces. This marketplace is ideal for small and medium business owners and individuals looking for quick unsecured personal loans. SMB owners need not jump through hoops to get a competitive loan anymore. The lenders on the marketplace make use of algorithms to analyze and predict the financial health of the business. Current cash flow statistics and data on the performance of the business goes a long way in judging the potential of the borrower. The USP of the Marketplace lending model, however, is that borrowers can compare and shop for loans on offer from a variety of lenders. This effectively cuts out on of the major problems faced by lenders and borrowers alike, the search costs. Marketplaces generate revenue by charging a small fee from borrowers who are sanctioned a loan. 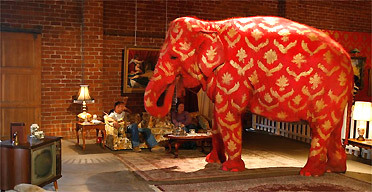 But what about the elephant in the room? When do the regulators step in? The Online Lending Marketplace has grown leaps and bounds over the past few years. However, it still has a lot of catching up to do. Traditional lending operations still handle an exponentially higher volume of loans. With the rate at which the Marketplace is growing, industry analysts predict that it will be trillion dollar industry by 2025. This kind of extensive growth may come at a price, some analysts fear. Those who advocate regulations argue that with this model SMB's may become the next sub-prime lending crisis if left unchecked. There is also the question of transparency. Lack of a regulatory oversight means that the online lenders may not be accurate and transparent always. On the contrary, a majority believes that imposing regulations on the Online Lending Marketplace at this stage might stifle innovation and the progress of the model as a whole. The new entrants are popularly being seen as disruptors who are here to replace an inefficient and outdated marketplace. Early and aggressive regulations at this stage will only serve to cut off the innovative access to funding that SMB's are currently relying on. Traditional banking institutions will tell you how strong post-recession regulations have cut their wings. Banks fear that they may no longer have the competitive edge over the new entrants. The Online Lending Marketplace is crucial to the survival of Small and Medium businesses. It is important to sustain this model by giving it ample space to grow. Post-recession times have seen a great number of opportunities open up. And the way that SMB's can compete in this market is by being able to get access to capital when they need it. Innovation and the onset of technology will continue to drive progress in this field. However, not having any regulations is just as harmful as over aggressive regulation. Any central regulatory body that would take up this responsibility would need to try and strike a balance between the two. The Marketplace needs to be given ample room to grow with just the right amount of oversight and regulation. In the past, it was at banks that people generally sought the funding they needed, but in today's computer and smart phone age, online loans have become the method of funding of the future. Peer 2 peer investments are increasing day by day and it is being used in many of the banks. So, get the proper unsecured personal loans online from OurMoneyMarket which is the right platform to get loans.